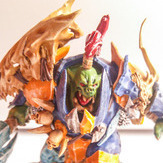 I thought it would be nice to have a thread so people could post their painting progress and share ideas for colour schemes/conversions etc. 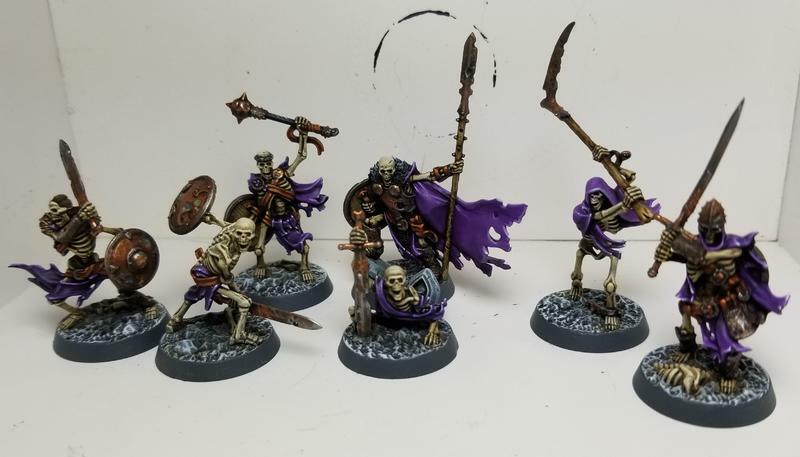 For me, I’m 2 warbands down and 2 (so far) to go. 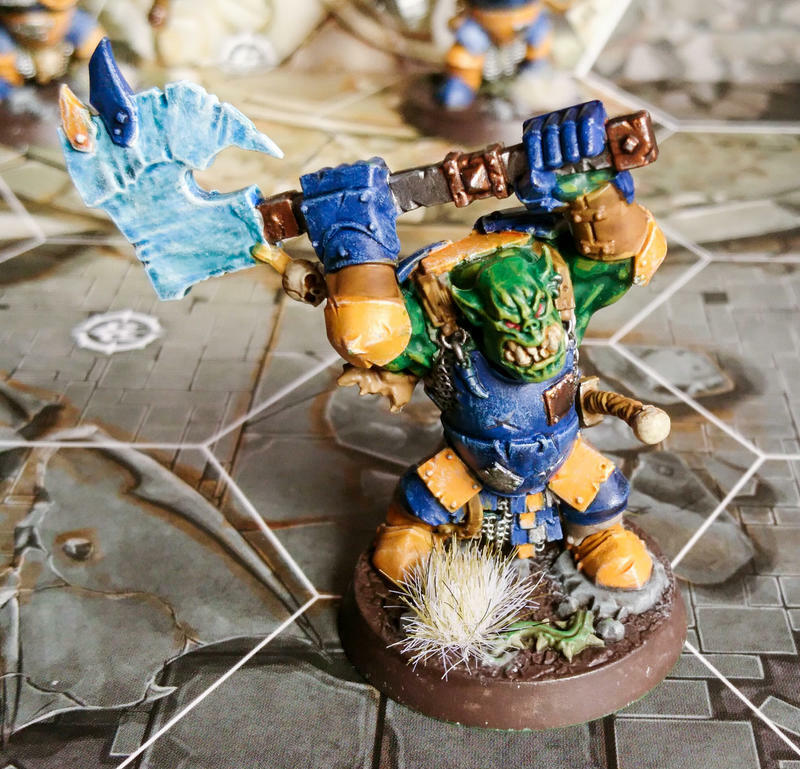 Gonna do Orcs (Orruks?) next. Any recommendations for colour schemes would be very much appreciated. 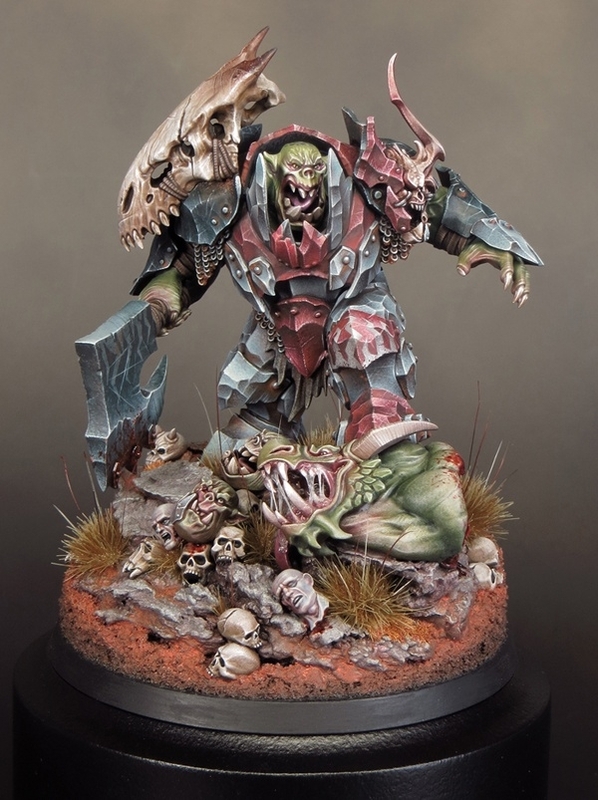 For Orruks though I basically want to replicate this idea but keep it a little easier on the job (less shades and highlights ), still love this red, white and black/grey colour combination though. 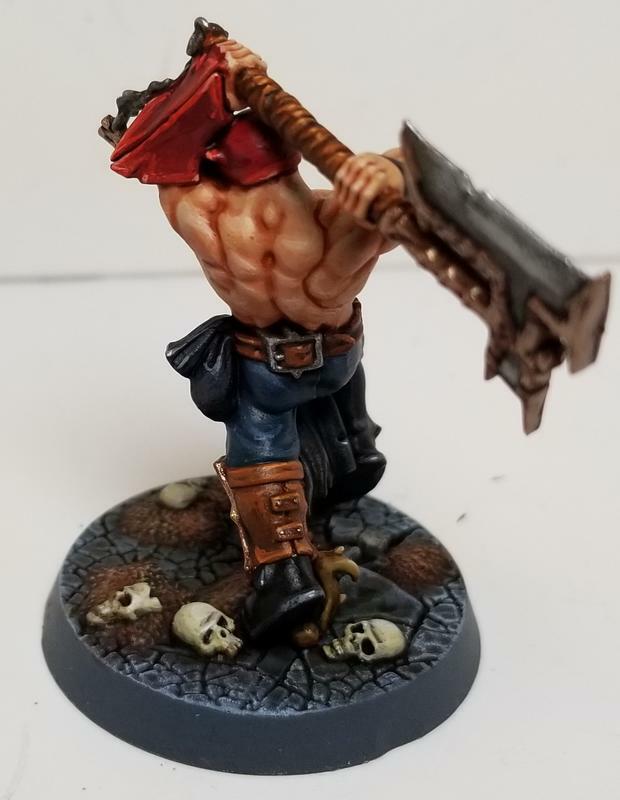 I'll be sure to post up a picture once I finish my Garrek's Reavers. 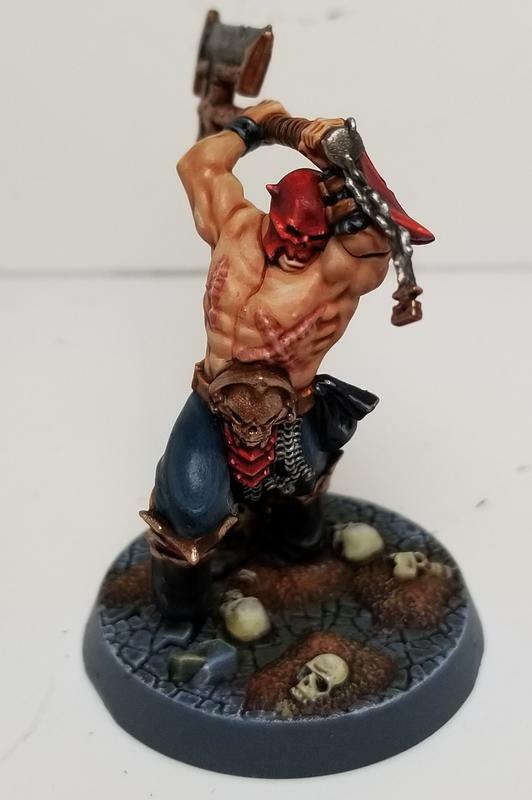 Currently just the main man Garrek himself (The other main man Saek I actually painted 2nd, as when I started painting them I hadn't actually played or read any of the cards). So just Garrek and all their bases to do, so close yet so far. @someone2040Can’t wait to see ‘em! 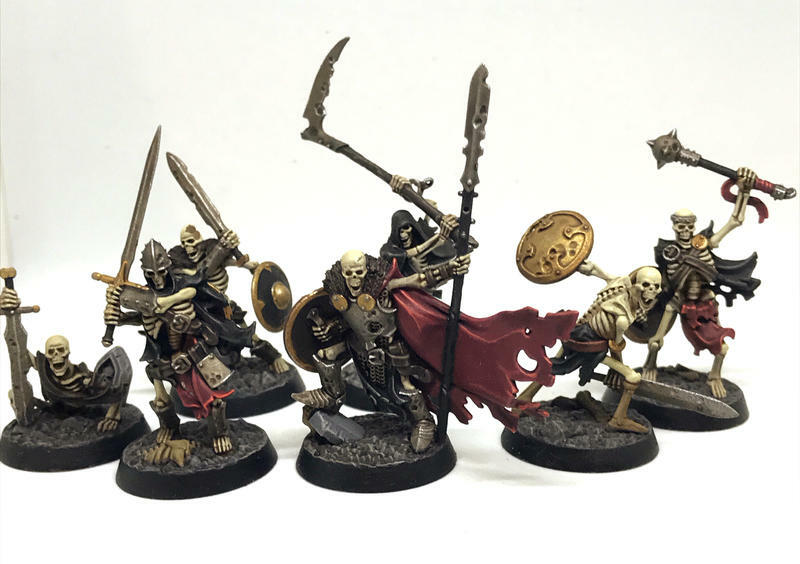 Here are my Undead and Stormcast, with a preview of the Khorne fellows. Hope the picture loads! Went with a "Spirits vibe". 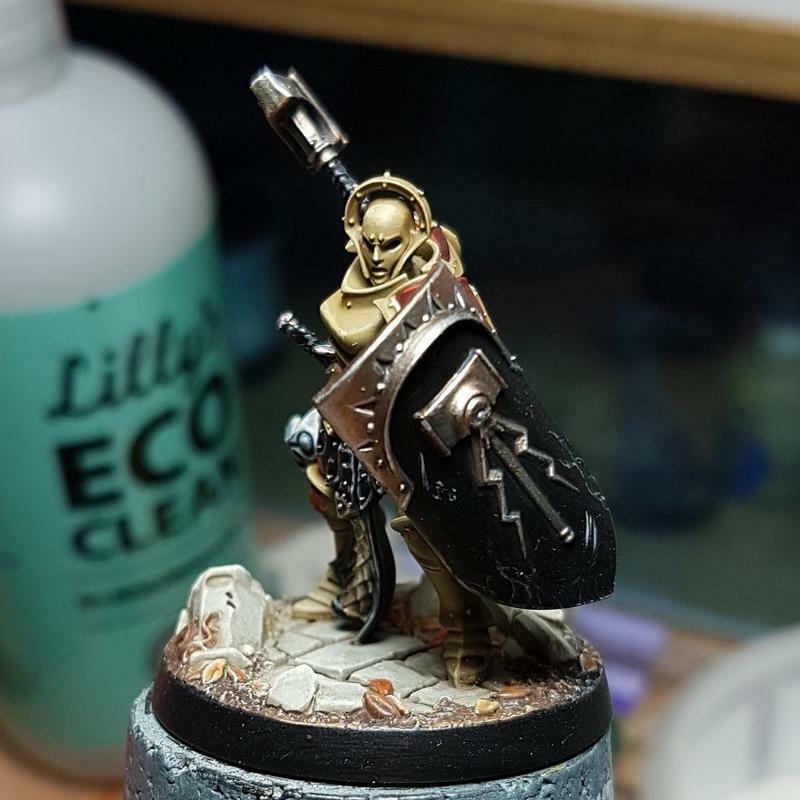 Still WIP, bases arent done. 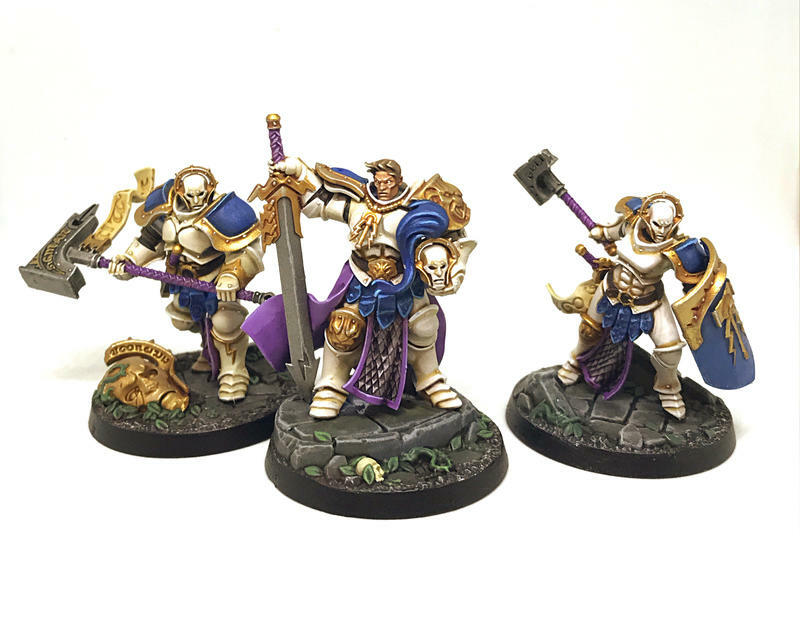 Hi, here are my Stormcast. Some lovely work here. 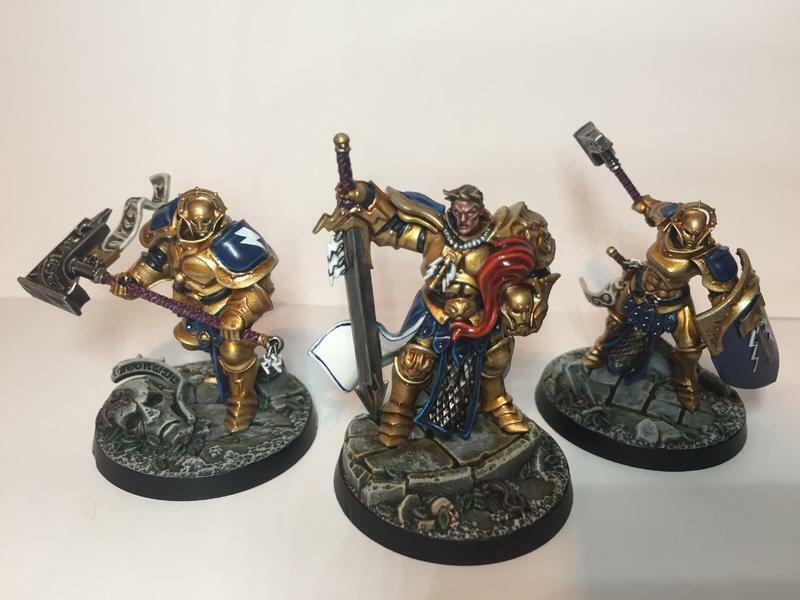 I particularly like the Stormcast colour schemes from @Zlatan and @Turragor, as well as @Sleboda's basing (the brown and grey is perfect). 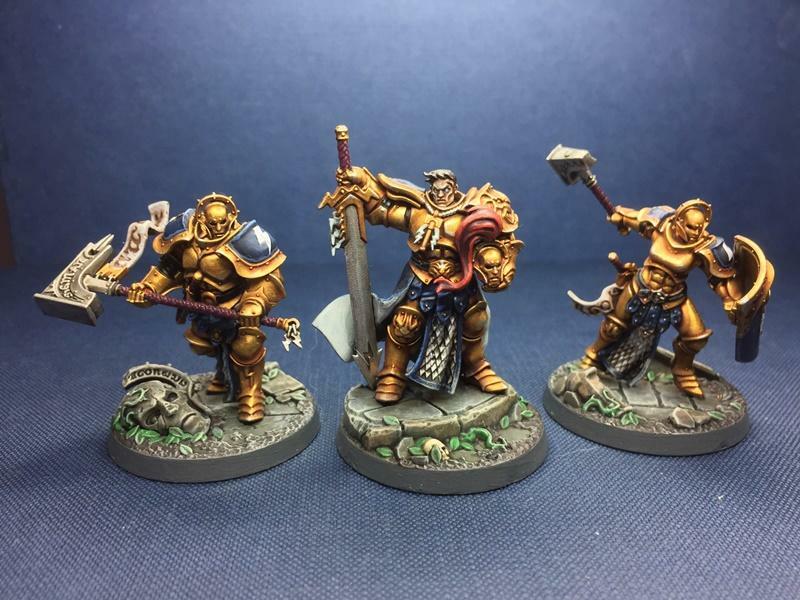 My plan for Shadespire is quickly painted models in the GW schemes. 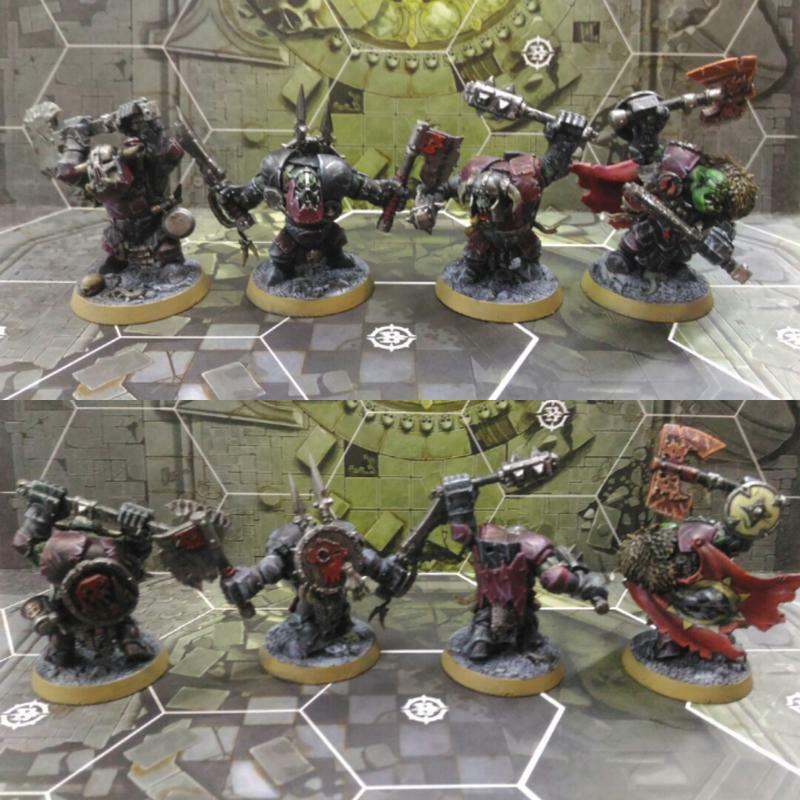 These are very much game pieces to me, much more so than AoS due to how often each individual model will be handled. 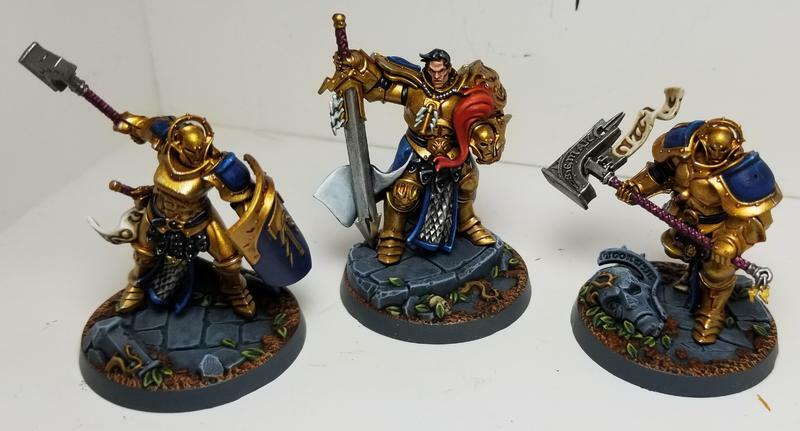 Still, I'm confident I can create nice looking warbands that are practical on the table (no fancy conversions etc*) and will survive wear and tear due to varnishing. 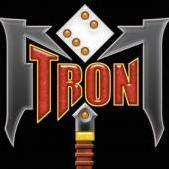 *Some people will have seen my pirate Ironskull's Boyz, which are extensively converted. 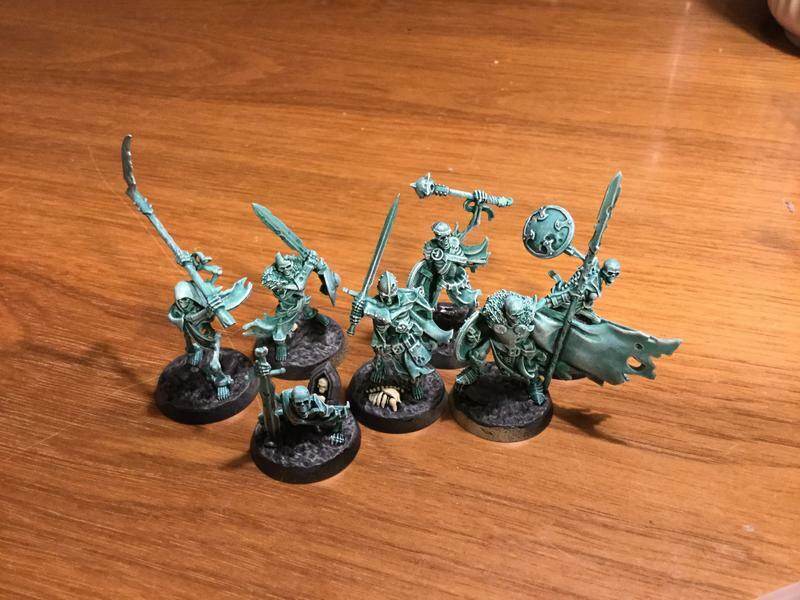 These are for use in AoS where I'm less likely to accidentally snap off a banner pole etc! 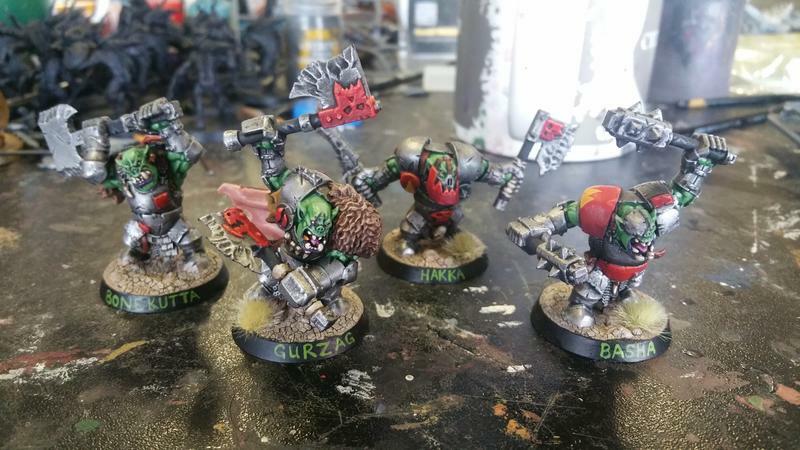 I have another set of the Orruks that I'm painting as per the WHTV video. 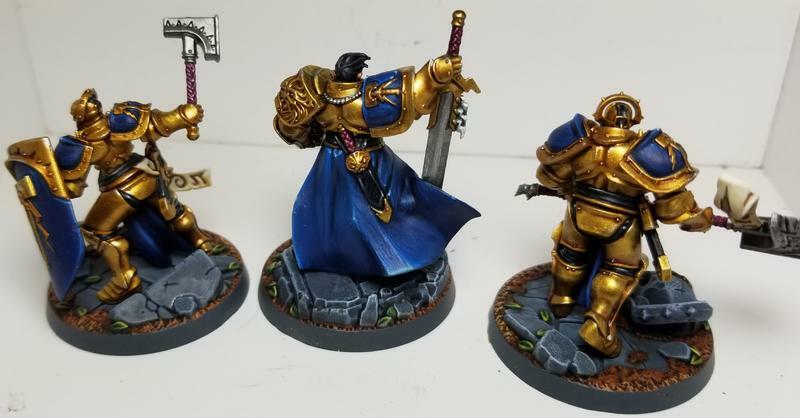 They are taking a little longer than fits my brief due to having to strip them twice (struggled to get a solid yellow basecoat with the spray, will discuss in my thread elsewhere). @Chris Tomlin, with the idea that these are more 'game pieces' to be handled more frequently....are you doing extra levels of varnish/sealant? If so, what's your formula? They will get a brush on gloss varnish (a thinned down polyurethane varnish would be my preference but as I've run out I'll make do with finishing down 'Ardcoat - expensive option! 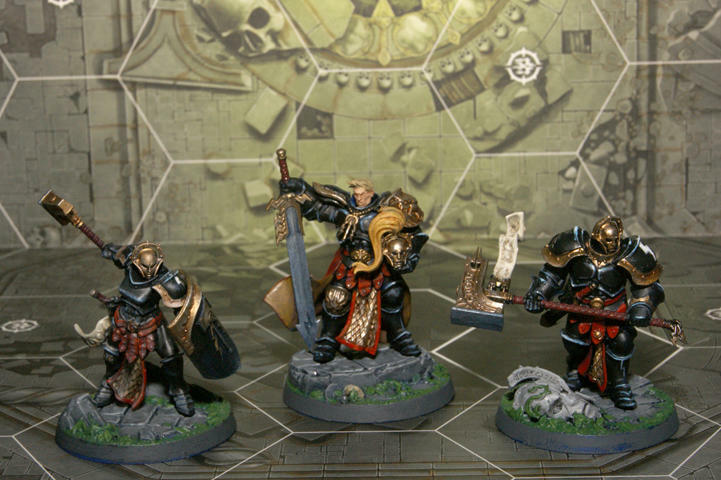 ), followed by a spray of Testor's Dullcote if I'm not keen on the gloss effect. 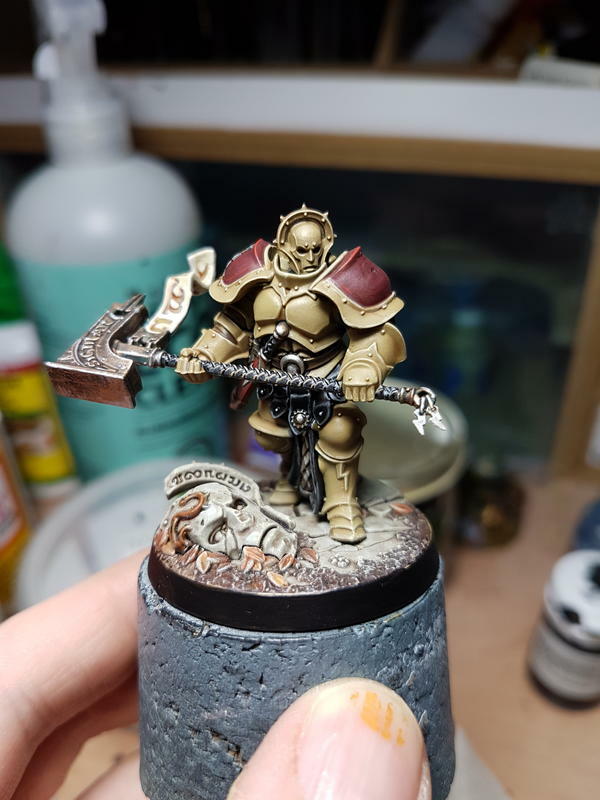 As I thinned down the 'Ardcoat with Lahmian Medium for my Stormcast, its come out not quite as glossy so I will probably leave them as they are. 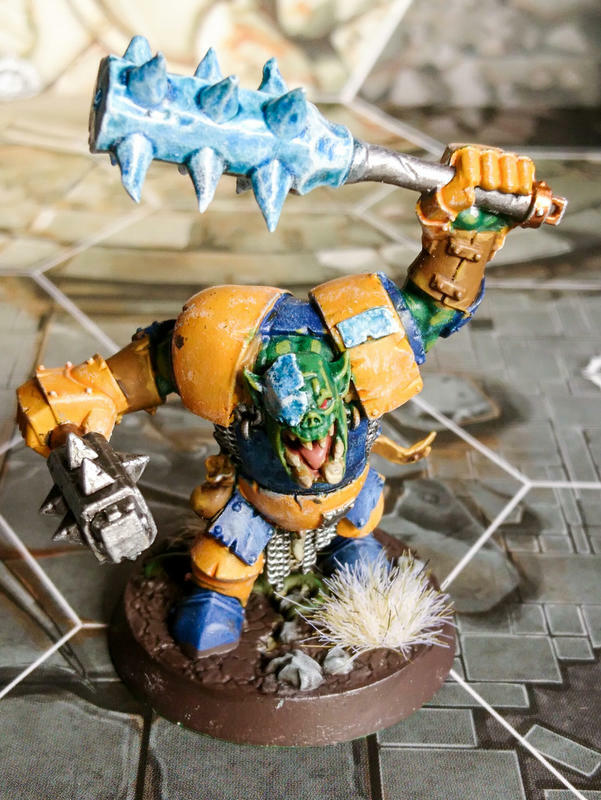 I suspect the Ironjawz will get the Dullcote though. 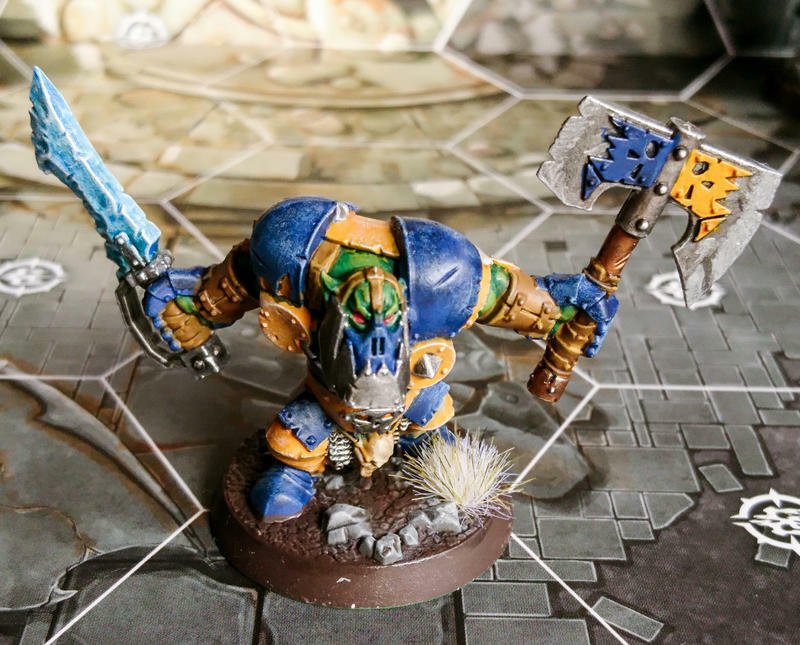 I'm interested to see what the new GW spray varnish is like. 1 - Brush on gloss polyurethane varnish thinned down with water. Make sure the varnish is UV resistant / non yellowing.  I just used one from Wikos. Leave 24hrs. 2 - Brush on a matte varnish. I used a Vallejo one. Again, leave 24hrs. 3 - Spray with a matte varnish. 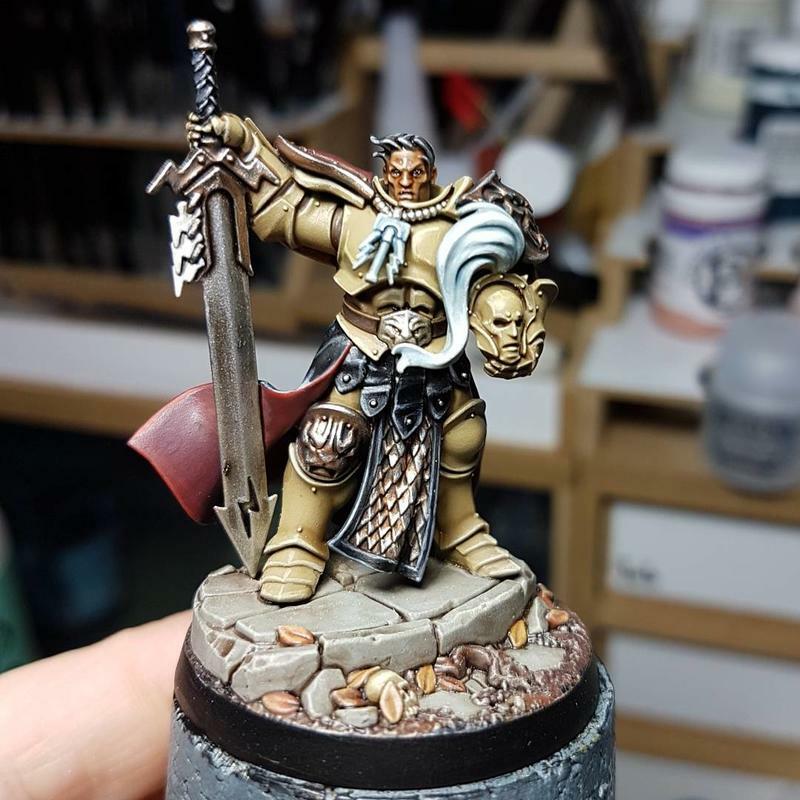 I used Testor's Dullcote as mentioned above. Once this is dry, give the model a brush over with a clean brush (I still do this after spray varnishing now and have a tank brush I've never used for painting for it) as sometimes dry varnish particles will settle on the models that have a tendency to turn into small white spots when the models are handled. I don't really do anything that in depth anymore though tbh, it's not all that necessary on plastics. 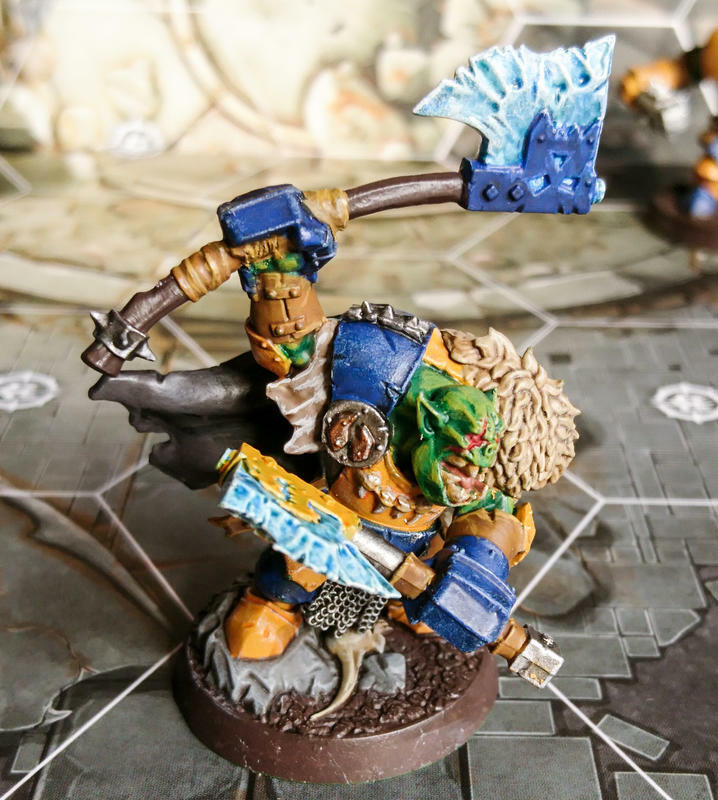 With my AoS Ironjawz, I do actually do some varnishing as well. It's a bit more focussed though. 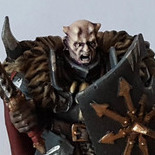 I tend to gloss varnish the ends of weapons, horns or any other extremities that are likely to be touched/rubbed repeatedly <inside d*ck joke here>, before giving the entire model a spray of matte to. The effect on your Reavers' weapons looks interesting, but I can't quite figure out what it's supposed to be? Oxidized brass, with the most used parts still shiny? This is a good point, it would make him stand out. 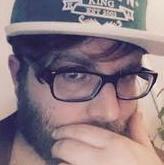 That said, I think the model is super cool so it might work out okay. Plus I kinda like the idea of 7 sets of eyes glowing. 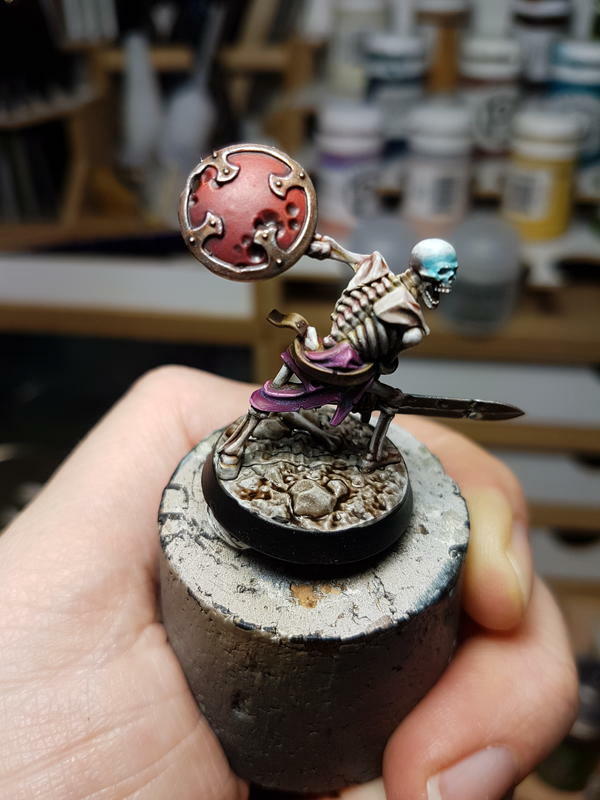 And I'm really looking forward to that one petitioner with the skull part gone - the glow can come from the other side too! Mostly, though, it’s just something to help the weapons pop. 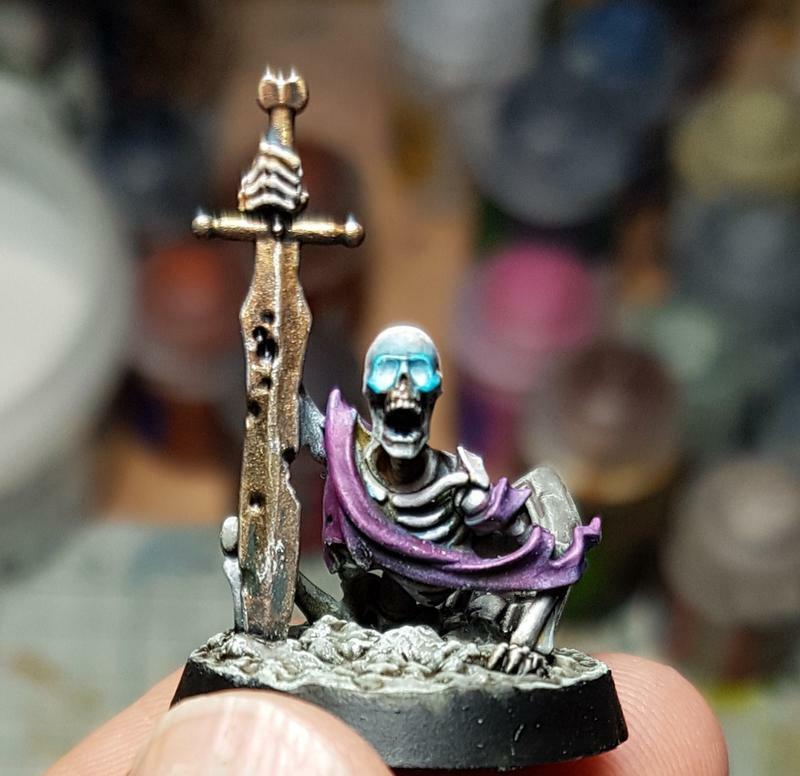 that one petitioner with the skull part gone - the glow can come from the other side too! 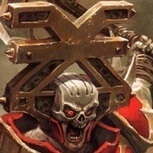 What's a good technique to do glowing eyes? That's the tutorial I based what I did off of. So it's most similar. I wanted a different effect - or rather I didn't like the look of the last step (light getting bright again) in conjunction with the 'spectacles' the author mentions. Fill the socket with white. 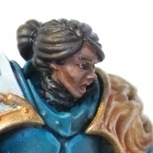 Paint light blue near the edge of the white and on the raised socket edges and tops of nose and cheekbones. Glaze a not so light blue towards the source from the outside. Takes a few layers. I say go for it. 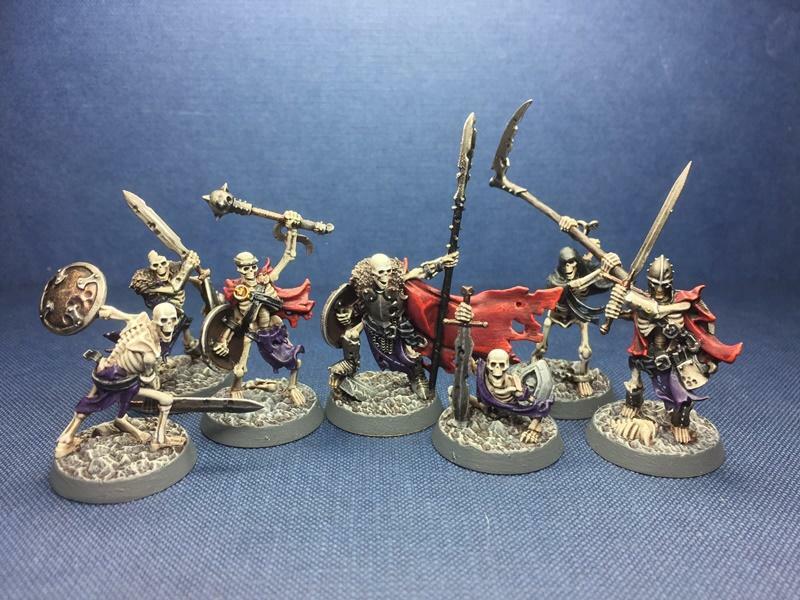 Who knows when you'll get an entire warband painted?